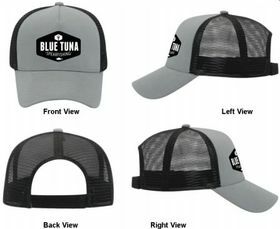 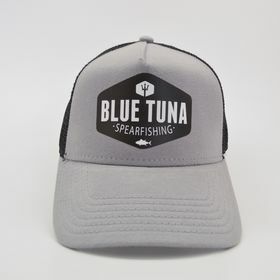 New Blue Tuna Spearfishing Trident logo trucker hats! 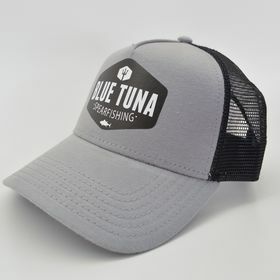 Screen printed logo on nice cotton jersey knit panel. Gray bill, gray front panel and black mesh back. Comfortable fit.